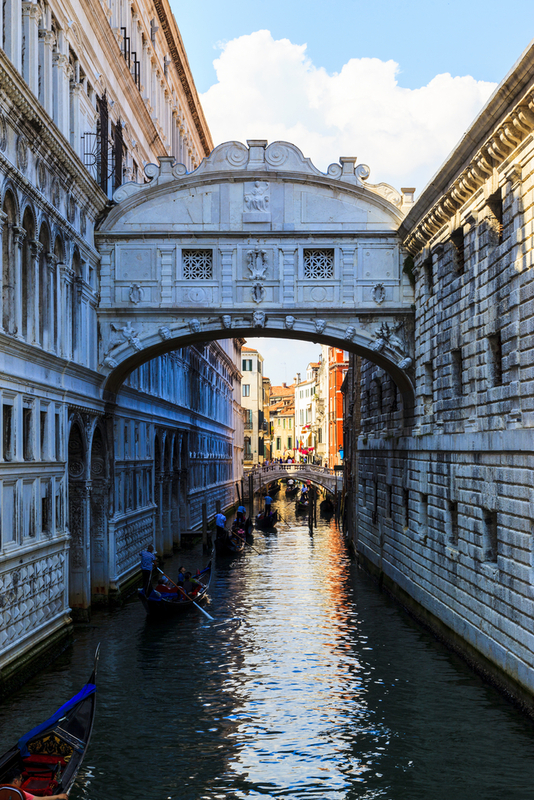 Anna Selby explores the home of Rigoletto as she visits Venice and the palaces of the River Po on board the floating boutique hotel La Bella Vita. Venice must be the only place on earth where watching traffic is beguiling: vaporetti, cargo barges, one-man pleasure boats, water taxis, the occasional cruise ship and, of course, gondolas glide by. It’s a moving Canaletto. 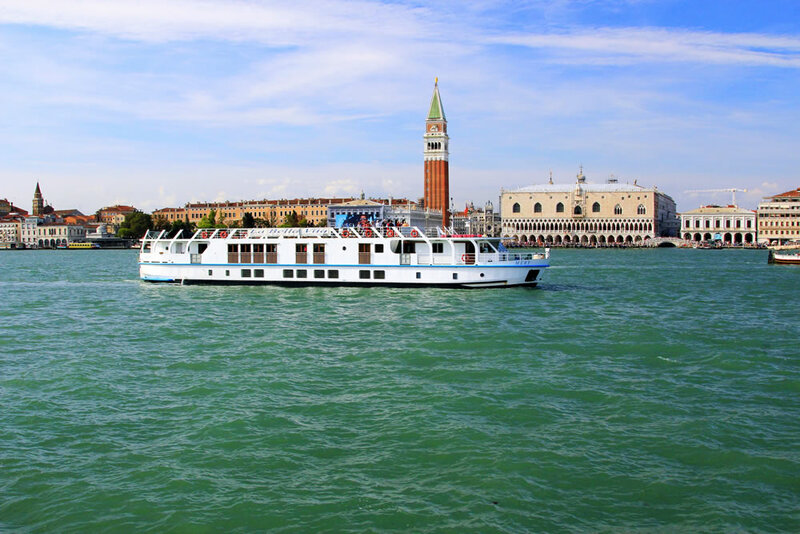 Among all the other craft is 20-passenger barge La Bella Vita. Built in 1960 to ferry sand up and down the River Po, it is now a floating boutique hotel with fine gastronomy, an open bar, and a wide top deck for reading and relaxing when you’re not on shore exploring. Though, of course, most of the time you are. 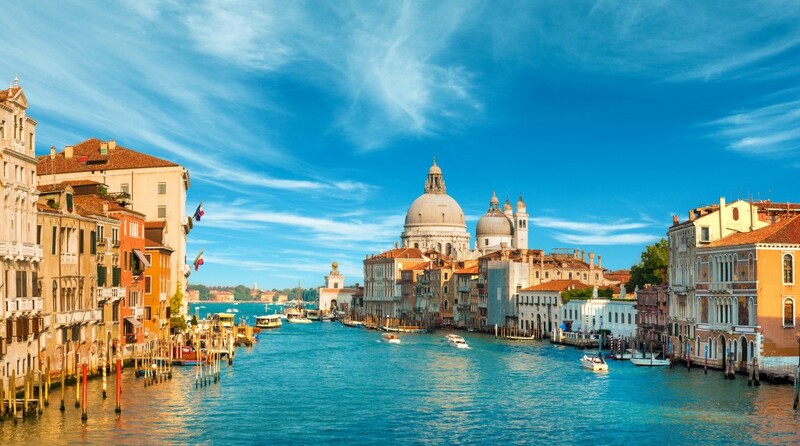 Who, after all, can resist Venice? Not the crowds, for sure. St Mark’s Square is heaving and anyone hoping to get into any of the principal sights must be prepared to queue. On the other side of the Grand Canal, in Accademia, the crowds thin out remarkably. In the “real” Venice you can sit in the Campo San Stefano surrounded by glorious palazzi and drink a Bellini for a fraction of the price at Harry’s Bar, where it was created. 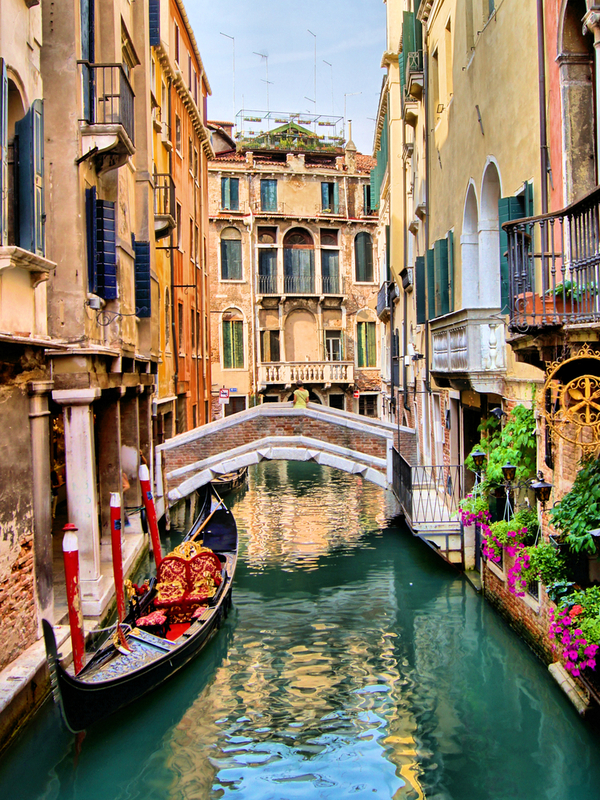 That real Venice is what La Bella Vita is all about. On our first lazy Sunday afternoon on board, we take a long circular cruise along the Giudecca Canal past some of the city’s most famous landmarks: the Chiesa del Redentore, the impressive Basilica di Santa Maria Madonna della Salute, and on towards the nearby islands of Murano (famed for its glass) and Burano (famed for its lace) before mooring, appropriately enough, outside the Naval Museum, a few minutes’ walk from St Mark’s. It is already time for our first dinner on board. The chef, Andrea, explains that each day he will feature the cooking and the corresponding wines of a different region of Italy. This evening, there are scallops, seafood risotto and cod with polenta. The ice is broken as the wine flows and, with it, the conversation among the 13 guests – who turn out to be quite a United Nations: American, Australian, Thai, Canadian, British and a single Italian. Later, there’s time for a stroll back towards St Mark’s under a big orange moon. Yes, definitely the most beautiful city in the world. The next morning, with our guide for the week, Isabella, we’re off in the opposite direction from St Mark’s towards the Arsenale, the tail of fish-shaped Venice. 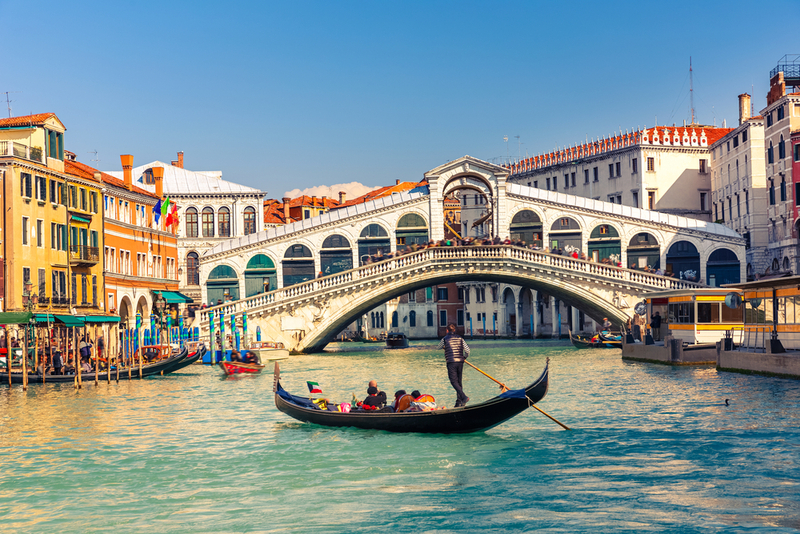 There are people buying fruit and veg from a couple of gondolas lashed together at the canalside, shady gardens, Casanova’s favourite convent (he visited frequently, mostly at night), gondola boatyards and numerous leaning towers – sinking Venice puts Pisa in the shade when it comes to buildings falling down. Fine medieval and Renaissance churches rub shoulders with pavement cafes. Beautiful painted houses sit with their feet in water that eats away at their plaster. Later that afternoon we head out into the lagoon past tiny islands – once prisons, sanatoriums and convents, now hotels or just ruins – towards the Lido. The lagoon is sultry in the August sun, without a breath of wind when we moor in Alberoni. You expect Dirk Bogarde to appear (complete with panama hat and melting hair dye) from Death in Venice. There will be a dramatic thunderstorm overnight. A couple of guests – and Rudy, the captain – jump overboard to cool off. There’s just time for more exercise the next morning – a stroll or a ride on one of Bella Vita’s bikes along the 18th century sea wall in Pellestrina. Then we cruise on to Chioggia, the city of Goldoni’s plays and now part seaside resort and part fishing village. On the way back to the boat, we drive through fertile arable plains, stretching flat as far as the eye can see and embark at the start of the River Po delta. In fact, because the Po flooded so dramatically and disastrously, it has in part been canalised, so the water, far from sweeping and strong, is now rather still and peaceful, the delta itself a massive nature reserve with flamingos and herons. Next day it’s Ferrara, an exquisite walled city with a 14th century castle, a moat and four drawbridges, while the Palazzo Schifanoia has famous frescoes that tell the tale of the year – through astrology and myth, the seasons and agriculture and the lives of the Dukes of Borso, flattered by the artists as men of wealth, generosity and culture. It is a miracle the frescoes remain. At times, the palazzo has been a tobacco factory and a squat and, at some point, they were hidden beneath fresh plaster. In 2013 they survived an earthquake – an event that affected many precious buildings in the region, including Mantua, where we spend our final day. By the time we get there the delta has widened, there are lakes and wetlands, little parks and woodlands on the banks, masses of waterlilies with huge lilypads and bright pink flowers. Swans glide around us and herons stand sentinel on the shore. We pass through one lock and then another and find ourselves in a wide lake gazing at Mantua beyond. The Ducal Palace, once home to the Gonzago family, is another pleasure palace – what fun these people had! Austere outside, inside therewere hanging gardens, courtyards, murals of the Arthurian legends, open loggias, golden, mirrored ballrooms, trompe l’oeil frescoes, coffered gilded ceilings, 2,000 paintings and 20,000 treasures. The Duomo and the Bishop’s Palace stand across the square and around the corner is Rigoletto’s house, complete with a statue of the murderous court jester. He was, of course, a fictional character – but who cares? Verdi set the opera here, after all; the least the locals could do was to come up with a house. The cathedral holds another mystery – the Holy Grail chalice, seen only once a year (hence those ducal Arthurian legends). After the sight-seeing, I sit in the cobbled piazza under a sunshade and sip another Bellini (does the peach juice count as one of your five a day?) Around me is the buzz of conversation under a warm setting sun as people greet their friends and prepare for another idyllic Italian evening. Yes, I have to admit, la vita really is rather bella. Anna Selby is a long-established travel writer, specialising in luxury travel, cruises, spas and wildlife. She has written for all of the UK’s broadsheets as well as many magazines and has written more than 30 books on travel, health, spas, antiques and opera.